John KEATS ( 1795 - 1821) is a renowned poet of the English Romantic Movement. During his short life, his work was not well received by critics, but his posthumous influence on poets such as Alfred Tennyson and Wilfred Owen was significant. 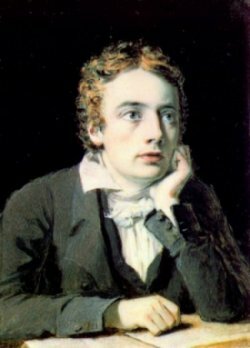 The poetry of Keats was characterised by elaborate word choice and sensual imagery, most notably in a series of odes which remain among the most popular poems in English literature. He wrote some of the greatest English language poems including "La Belle Dame Sans Merci", "Ode To A Nightingale", and "To Autumn".